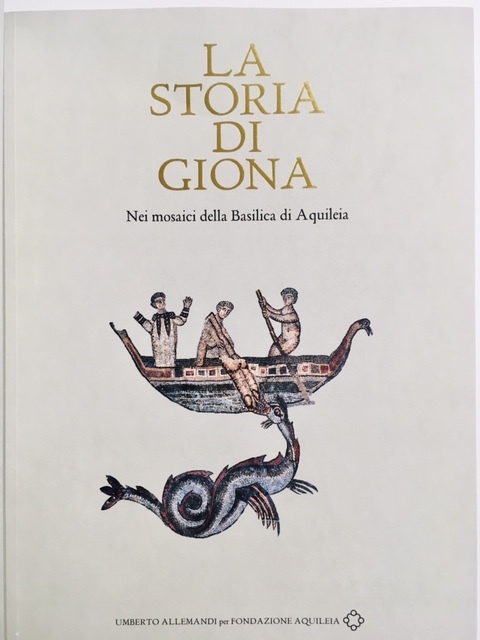 This book about the beautiful mosaic cycle of the story of Jonah in the Basilica of Aquileia is magnificently illustrated with the pictures taken by master photographer Elio Ciol and enriched with the essays of Cardinal Gianfranco Ravasi and Professor Carlo Ossola, as well as with interesting contributions by the Coordinator of the Rabbinic Court of Central and Northern Italy Vittorio Robiati Bendaud, the Imam of Al Azhar Sheik Ibrahim Reda, and the Director of Fondazione Aquileia Cristiano Tiussi. 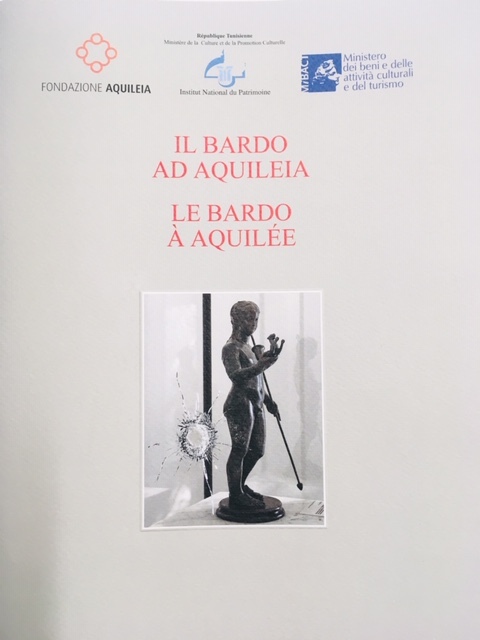 As President Zanardi Lardi states in the foreword «This book is meant to be an integral part of “Wounded Archaeology”, the project started by Fondazione Aquileia in 2015 with the purpose of bringing to Aquileia some exhibits from the museums and sites devastated by fundamentalist terror. Our goal is to make visitors aware of how deeply the civilizations whose memories are now being destroyed were connected to the area of Aquileia, as part of a wider Mediterranean civilization. The Mosque and the Tomb of prophet Jonah – a unifying element for all peoples living on the shores of the Mediterranean Sea and a recurrent character in the Bible, in the Gospels of Luke and Matthew and in four surahs of the Quran – were the first places of worship to be destroyed by Isis. With this book, we wish to offer our ideas and thoughts about the serious damage caused to the heritage of the countries hit by terror, but also to our identity as Mediterraneans and Europeans». 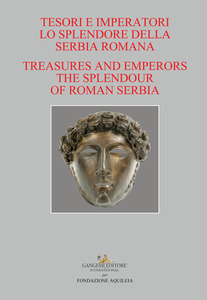 Strongholds, imperial palaces, wealthy city districts, thriving trades, a melting pot of civilizations and the signs of the different cults and of the new inspirations coming from Rome and from the East: all these images come to our mind when we think of the “splendour of Roman Serbia”. These territories enjoyed an extraordinary growth between the 3rd and 4th centuries, and were homeland to as many as 17 or 18 emperors, from Hostilian to Constantius III, including Constantine the Great, who was born in Naissus (Niš). Serbia saw the rise of monumental imperial residences, like Felix Romuliana, today's Gamzigrad, and of new cities, like Sirmium, now Sremska Mitrovica, which included a circus, a sign that the earlier urban settlement had grown into an important metropolis. As a further step in the path of the project “Wounded Archaeology”, this new exhibition brings to Palazzo Meizlik in Aquileia sixty precious artefacts from the National Museum of Belgrade and other Serbian museums to tell the history of Roman Serbia. While the territory of present-day Serbia fell into three different Roman provinces, it was affected by the same strategic and military needs, which caused the strengthening of the defensive system on the Danube frontier and the powerful growth of the urban centres and of other peripheral areas. A large share of the Roman emperors who ruled between the 3rd and 4th centuries were native from this area, which they honoured with the construction of impressive residence. 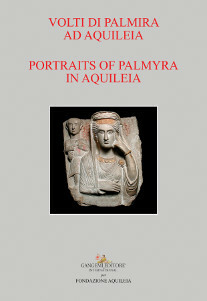 This exhibition includes sixteen exhibits from Palmyra (some of which reunited for the first time after being dispersed in Western collections) and eight artefacts from Aquileia. The intention is to show that, while distant in space and style, the two cities share a common cultural background and similar self-representation and iconographic references. At a time when Syria is experiencing a brutal civil war and some groups are perpetrating their ferocious iconoclasm against ancient archaeological vestiges, this exhibition takes on a high symbolic value aimed at raising awareness on the issue of wounded archaeology. 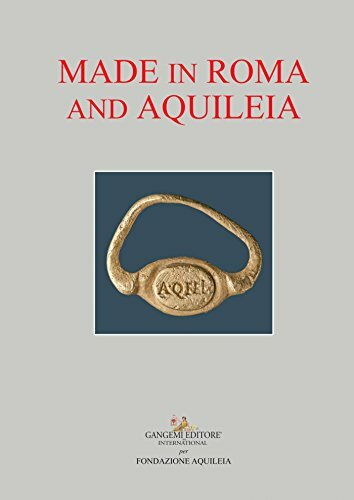 The exhibition itinerary combines as many as 125 objects from Aquileia with 150 artefacts coming from the successful exhibition recently staged in Trajan’s Markets in Rome. The exhibits include plates, lamps, gemstones, jewels, glassware, medical instrumentation, bricks and amphorae. All objects bear trade stamps, brands, signatures, and the most varied signs of property and ownership. They all bear evidence to a society where the Pax Romana had extended by and large to the manufacturing and commercial system, thriving with shops, enterprises, corporations, craftsmen, transportation and roads, whose symbols used to codify the identity and sense of belonging to a common economic and cultural system. The precious exhibits come from the National Archaeological Museum of Aquileia and from some important Roman and international museums. Among the latter, on grounds of their historic importance as leading manufacturing centres of the Roman Empire, special mention is owed to the Römisch-Germanisches Museum der Stadt Köln (Germany) and the Archeološki muzej u Splitu (Croatia). Persepolis was the greatest and most beautiful metropolis in the world when Alexander the Great arrived before its walls in 330 BC. Three months later, a fire ordered and started by Alexander destroyed the most powerful city ever built: its walls, statues and columns crumbled; the gold plates on statues and the throne melted; Persepolis was reduced to the pile of ruins still visible today some 50 kilometres away from the city of Shiraz, Iran. Aquileia, one of the greatest and wealthiest political, administrative and commercial centres of the Roman Empire, withstood Alaric’s raids, but Attila eventually managed to have the city walls tumble down on 18th July 452 AD. The city was devastated and, as the legend tells, Attila scattered salt on its ruins. Today, some eight hundred years later, the memory of the two great cities, both destroyed by fire and sword and both now belonging to the heritage of culture, art and imagination of all humanity, becomes ideally actualized in the exhibition “Lions and Bulls from ancient Persia in Aquileia”. The exhibition will be staged from 25th June to 30th September 2016 at the National Archaeological Museum of Aquileia, organized by Fondazione Aquileia in collaboration with the Polo Museale del Friuli Venezia Giulia, the National Museum of Iran and the Iranian Cultural Heritage Handcrafts and Tourism Organization. The exhibition (6th December 2015 - 28th February 2016) and its catalogue offer an insight into the arts and fine craftsmanship of the African provinces in Ancient Roman times, between the 1st and 3rd centuries AD: the mosaic of goddess Ceres from Uthina; two mosaics of “naked wrestlers” from the tepidarium of Gigthis spas; the head of Emperor Lucius Verus from Dougga; the statue of god Jupiter from Oued R’mel; the funerary stele of Marcus Licinius Fidelis, a soldier native from Lyon, in the Gaules, buried in Ammaedara; two pottery pieces from the necropolis of El Aouja, and namely a jug decorated in relief and a cylindrical container with depictions of gods and satyrs. The city of Aquileia (witness to the peaceful coexistence between Romans, Jews, Greeks and Alexandrians), listed as Unesco World Heritage since 1998, represents for its own history the ideal place to state the universal values of coexistence and exchange and to start a debate about the importance of protecting cultural heritage against obscurantism and barbarism.